A few weeks ago I received a couple of very interesting racket. 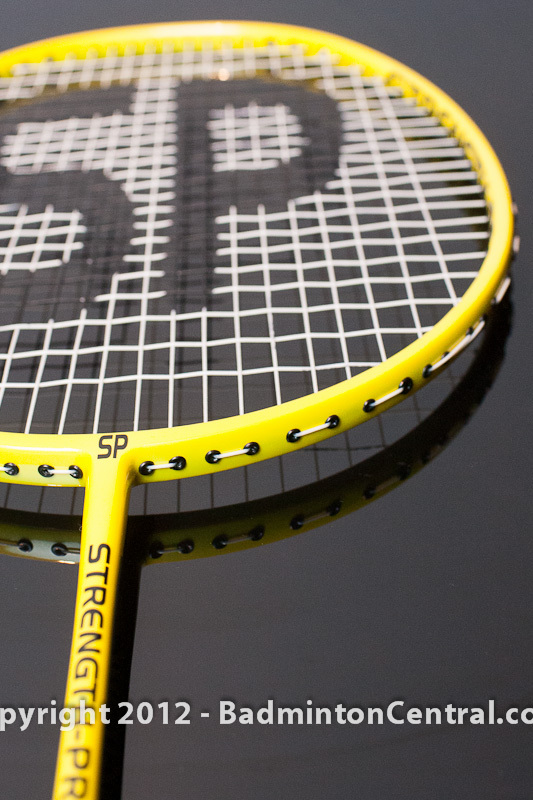 The StrengthPro SP140 and SP160 Training Rackets. Training rackets are, as their name suggest, designed to be use for technique and strength training purposes. What they are special heavy rackets that provides more resistance and thus helps build muscles and speed. Training rackets are not new to the market as we have seen previous brands that came out with training rackets. 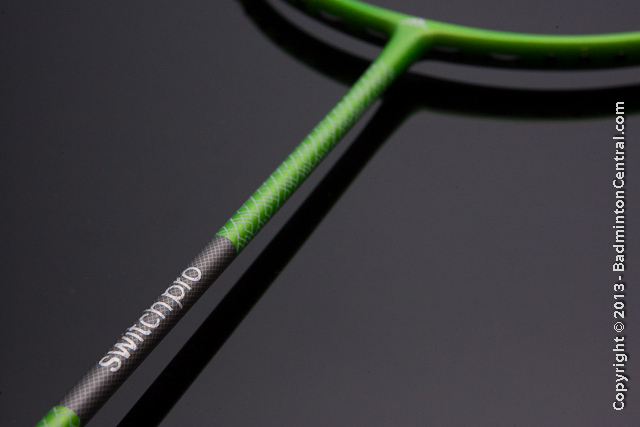 StrengthPro’s racket is unique among the training rackets due to their different approach and design. StrengthPro’s founder is a national level coach in the UK. StrengthPro was started after seeing the need for a good quality training racket in the market. The aesthetic design of the StrengthPro SP140 and SP160 are very minimalistic. The SP140 comes in a full pearl white color, accented with “Strength-Pro 140” on the shaft as well as the inside of the frame. The design while lacking the complexity of other rackets’ designs, actually look rather pleasing. The selection of pearl white makes the racket standout and very eye-catch. Every time i bring it out during drill i can see people commenting on it. Similarly, the SP160 has the same design but with a bright yellow base color. At the side of the racket there are text which says, “Strength Training System – Strength Pro Technology” on the SP140, and “Strength Training System – Evolution By Design” on the SP160. And more interestingly, the SP160 also says, “Designed and Engineered by Karakal”. Which explains why the racket comes with Karakal grip and strings and also the attention to detail in the design. 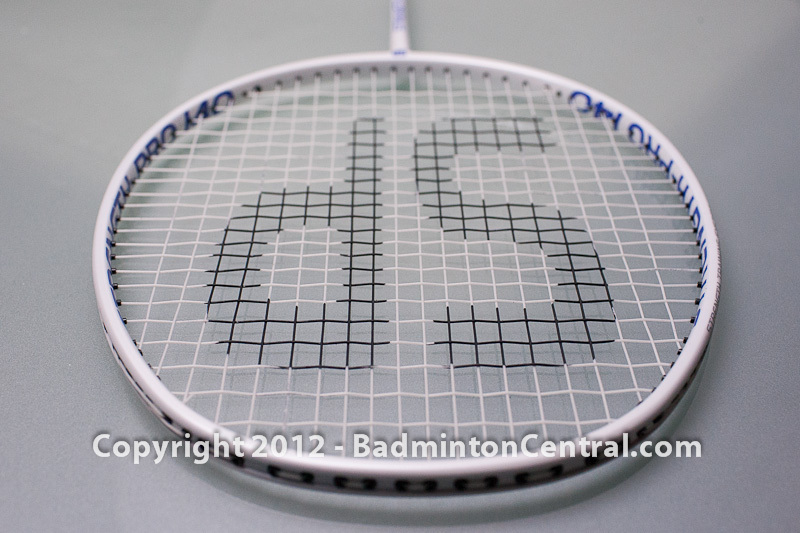 Aside from the weight, the most noticable design of the racket is the racket head and the stringing pattern. The racket is designed with a larger than normal “megasized” head. When placed next to a regular sized racket the mega size head is full 1cm longer and 0.5cm wider. This provides an approximately 10% increase in surface area which results in a larger sweetspot for training purposes. I surmise that it also is a way to allow for more material in order to achieve the impressive 140g and 160g mass. 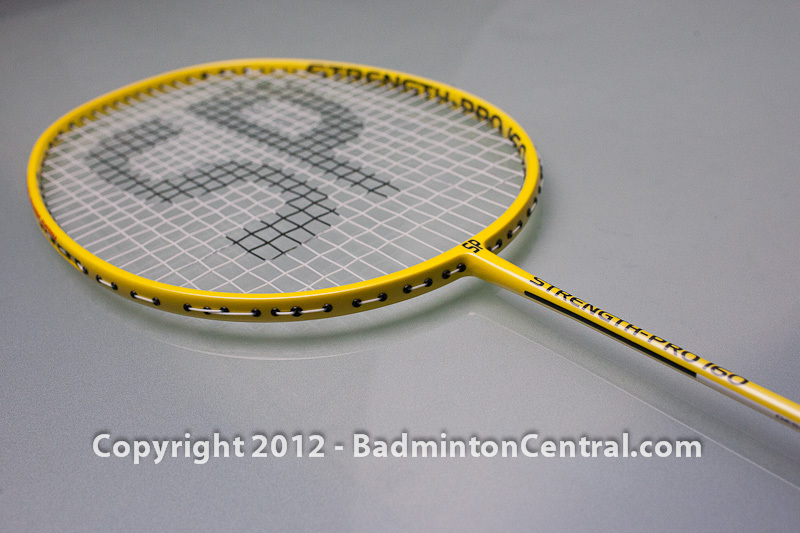 The stringing pattern is very unique to the StrengthPro design. The StrengthPro family utilizes a 20×22 stringing pattern. The pattern dictate that the main and cross strings are denser near the sweetspot and more sparse near the frame. One might initially suggest that this is similar to the Babolat 20×21 pattern and thus similar to patterns used in tennis. 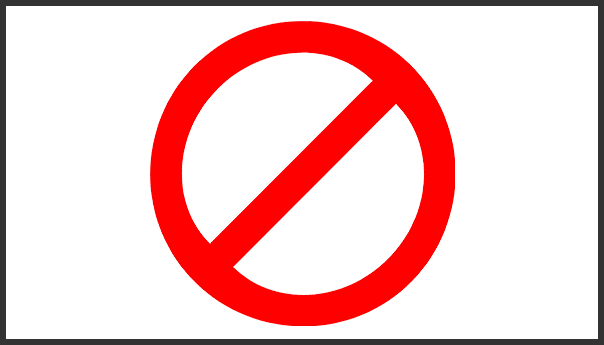 However, StrengthPro brings the idea one step ahead by having no shared holes. Every string goes through the frame on its own dedicated grommet hole. The only time where a grommet is occupied by 2 strings is at the tie-off points. From the numbers, we can see that StrengthPro paid extra attention to the weight and balance, both of which are within 0.5grams of the advertised weight, which in all practical purposes are within spec, and at the same time they controlled the balance point extremely well. And this is where StrengthPro really excels in their design. They managed to produce a heavy racket without sacrificing the dimension and balance. Many people have used to train with other heavier racket like squash or even tennis rackets. While they do provide a heavier weight and resistance, they are literally a pain to use because the handle are too big and the dimensions are not any similar to badminton racket and thus do not play anything like a badminton racket. Other badminton training racket manufacturer also attempted to make a training racket but some are unable to achieve the balance, probably because they added a disproportional amount of mass in the handle to make the spec. 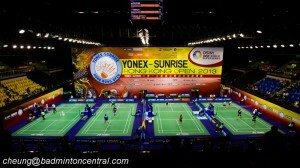 The result is a badminton racket that is heavy but also have a BP of 230mm or even lower. StrengthPro doesn’t have that problem. Their BP is not any different than regular badminton rackets in the market and thus give the most comparable feel with the added weight. You feel like you are holding a normal racket, just heavier. Much heavier. Having a nominal weight of 140g and 160g may not sound very special but once one realized that this is a full 75% to 90% more mass than regular racket without significantly increasing the size of racket as well as maintaining balance, it only makes one wonder: where do they put those weight? I tried to dig out those information from StrengthPro but only was told that they want to keep that a secret. With that, I can only suspect that weight were added to the handle as well as the racket head. What would be obvious though is that the weight added won’t be extra carbon fiber material as they are not dense enough to provide the weight needed. Which means likely that some metallic material was added to the frame during the rolling and molding process. My SP140 and SP160 came factory strung. However, the default tension was way too low so i have to re-string it. As mentioned it employs a unique pattern but it was not difficult to figure out from scratch, but for someone who is not familiar it make sense to have a photo as reference. The process was a breeze with all the non-shared holes which are offset and there are really not that much different than a regular racket. With the extra material in the frame the racket head is ultra stiff and stable. The 20×22 pattern dictates that the mains are tied off at the top of the frame. As a result, almost all grommet holes are single pass except for one (on each side) shared hole at the bottom for the cross tie off, and three (on each side) shared grommets at the top for the mains & cross tie offs. In theory only 2 are needed at the top but 3 are provided. I initially strung them with BG80@24lbs which is pretty standard tension. After some test hitting at the gym it turns out that 24lbs was a bit low. The feeling of the string bed was too soft, probably due to the combination of fewer main strings as well as larger head size, the result was that the string density and thus aggregate stiffness is much lower than regular racket at 24lbs. I later restrung them with BG80@27lbs and the feeling is much better, equivalent to stiffness and crispness of regular racket at 24lbs. The review of the SP140/SP160 will end up different than previous reviews, as the purpose of the rackets are for training. Having said that, it is possible to use them for games which I have tried, more on that later. First the initial feel of the racket. The SP140 racket while heavy is actually not too excessively so. Swing it provides more resistance than normal which is very apparent, for average club level intermediate player it should be no problem. In fact, it is the more suitable weight for strength training. The SP160 however, is much much different, the 160g weight is impressively heavy and while only 20g difference, it makes a lot of difference in the effort required. I find it quite a bit more stressful in swinging it. I mostly focus on using the rackets for training. First i tried drives. The SP140 is actually quite doable. The effort needed is significantly more but i noticed that if i focus on wrist and finger motion, i am able to do medium fast drive with another strong player. The SP160 however, was much harder and it was only possible if the drive are medium speed. The effort was so much that i find i need to assist with a bit more arm swing on faster drives. The feel of the racket is quite good, vibration is slightly on the high side with both racket but not excessively. Lower hand drive retrieval is a similar story. It is very possible to do it with SP140 while SP160 requires significantly more effort. Smash defense was actually not bad. I had my student repeated smash at me for over 20+ shots in a row and I was actually able to hit all of them back with the SP140 and most of them back with the SP160. Which means the weight didn’t bother me as much as there were ample room to time the swing but also means that the shaft of the racket is sufficiently well designed to be repulsive. Another plus for a training racket properly designed for badminton. Lifts are not much different considering the slower swing speed only involve in slight change in timing. For clear and drops is a similar story. The production of the shot require timing adjustment in the beginning but for both racket i didn’t have much trouble hitting shots with some extra effort at the beginning. The SP140 plays almost like a regular racket. The SP160 being heavier possesses a lot higher momentum and I had to consciously stop it from over-swinging at the follow-through. Netshots i find that they are actually easier as the heavier weight is more stable. Cross court net shots are interesting as that involve a lot of fast and subtle finger movement which ended up much more difficult to execute! At the end of a 30+mins drill session alternating both rackets, i cannot help but to notice my forearm muscles screaming in sore and tenderness. Which to me means that the racket is working as intended. But how about games? I bravely tried the SP140 on some medium speed games and surprisingly it was very much usable. i would even say that with the proper adjustment to timing i ended up not even noticing the extra effort needed except after the game! 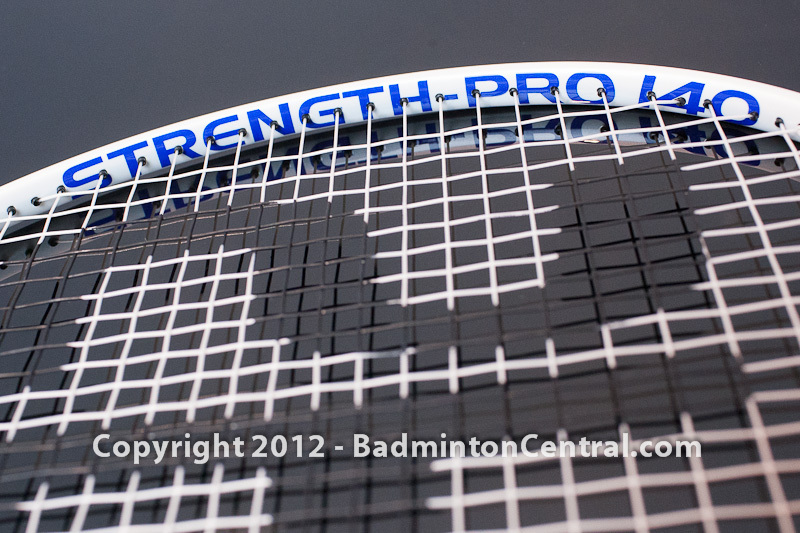 I am genuine impressed with the StrengthPro family of training rackets, the SP140 and SP160. In my opinion the SP140 is more suitable for the average player if you only want to own on. The SP160 is a much more demanding racket that is more suitable for stronger players. The physical dimension and properties of the rackets have been very well designed and controlled and thus will feel very natural during training while providing the desired effect of strength training. At only GBP49.99 this is a no brainer.